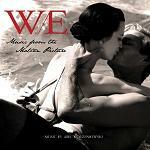 As we launge into the New Year let's reflect back on the film scores of last year. 2012 seemed to bring many strong film scores, and it remains to be seen how they will fare in the Oscars and other film awards (compare our selection with the final results in the film music awards). Nevertheless we have wittled down those many contenders to our top 10 of the year. 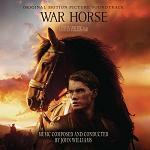 John Williams' score for War Horse came under fire for its brazenly manipulative approach - but it's a majestically powerful work that demonstrates why Williams is still the best film composer in Hollywood. Entirely in-keeping with the throwback style of Steven Spielberg's movie, one which casts its mind back to an era of movies in which music was foregrounded, the score moves from Louise Di Tullio's pastoral flute solos to brutal timpani led battle scenes to warm trumpet tones that masterfully evoke the World War I setting. The themes aren't as immediately obvious as they are in the composer's classic works but War Horse nevertheless sees Williams at the top of his game. A score that wrenches the heart and stirs the soul, it holds more emotional power than any other score this year. War Horse is available at Amazon.com or Amazon.co.uk. As a film, "Rise of the Guardians" was narratively confused but Alexandre Desplat's exuberant, exciting score cuts to the adventurous heart of the story with thrilling panache. Desplat weaves together two enormously enjoyable themes: a brassy one for the Guardians themselves (with overtones of John Williams' Hook) and a beautiful, longing piece for the power of dreams, gorgeously sung by soprano Renee Fleming over the end credits. Add in Desplat's typically intricate orchestration which subtly hints at the magic of Christmas (listen out for the bells and trumpet triplets) and you have a terrific adventure score. It's another triumph in another outstanding year for the composer, following the likes of Argo, Moonrise Kingdom and Rust and Bone. 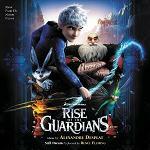 Rise of the Guardians is available at Amazon.com and Amazon.co.uk. Given his background of culturally sensitive scores for such directors as Deepa Mehta and Atom Egoyan, Mychael Danna was an excellent choice of composer for Ang Lee's "Life of Pi". Beautifully reflecting the emotional undercurrents of Lee's terrific film (adapted from Yann Martel's novel), Danna's score ripples with tasteful emotional subtlety. In the early stages, Danna blends Indian and French textures together to reflect Pi's origins, including a beautiful lullaby sung in Tamil by Bombay Jayashri, before deploying haunting choral forces later on to capture the character's spiritual odyssey. Danna's understated yet compelling score enhances our emotional response to the drama without ever aggressively imposing on it, capturing the manifest complexities of the story in tasteful fashion. 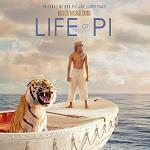 Life of Pi is available at Amazon.com and Amazon.co.uk. Madonna's misguided historical biopic, based on the life of Wallace Simpson, nevertheless benefits from a well-judged score from Polish composer Abel Korzeniowski. Madonna's decision to hire Korzeniowski was an astute one, the classically educated musician conveying a sense of melancholy beauty without ever resorting to maudlin sentimentality (a move which would have proven truly disastrous for the film itself). In-keeping with past scores like A Single Man, Korzeniowski demonstrates a sense of disciplined control, conjuring a score that is tasteful and poignant but never treacly or maudlin. In fact, it's more tasteful and poignant than the film it accompanies. Evgeni's Waltz is one of the year's outstandingly haunting music pieces. W.E. is available at Amazon.com and Amazon.co.uk. Oscar-winner James Horner is nowadays more frequently found in the arena of classy drama, with the odd excursion into blockbusters (Avatar being a noteworthy example). However, he made a triumphant return to the superhero genre with the excellent score for "The Amazing Spider-Man", a genre in which he has dabbled only infrequently (The Rocketeer being the most noteworthy example). Steering clear of Danny Elfman's Gothic majesty in favour of more streamlined heroism and heartbreaking moments of intimacy, it's an emotional and stirring work that brilliantly captures the human dimensions of Marc Webb's spin on the iconic superhero. It's a joy to welcome Horner back to the action arena and it's wonderful to have a full-on robust score composed of actual distinct themes. 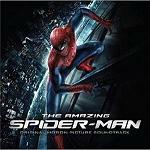 The Amazing Spider-Man is available at Amazon.com and Amazon.co.uk. 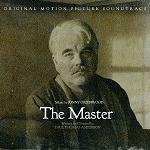 The cryptic ambivalence of Paul Thomas Anderson's acclaimed drama The Master is brilliantly reflected in Jonny Greenwood's unsettling score, his second collaboration with the director following There Will Be Blood. At once pastoral and disturbed, Greenwood's music does an excellent job of operating on two levels, suggesting both the outwardly 'normal' facade of the central characters and also the darkness that churns away beneath. As a musical depiction of duality, Greenwood's score is brilliantly perceptive and intelligent, both listenable and unnerving, the composer benefiting from Anderson's bold decision to foreground the music in operatic fashion. That the music is elusive yet compelling speaks greatly of Greenwood's compositional abilities. Not just a member of Radiohead, Greenwood is proving to be an excellent film composer in his own right. The Master is available at Amazon.com and Amazon.co.uk. 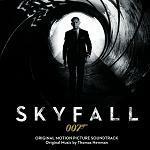 The decision to hire Thomas Newman for scoring duties on Skyfall was a controversial one, David Arnold's crowd-pleasing energy giving way to Newman's thoughtful introspection. But in the context of this particular Bond movie, Newman's fifth collaboration with director Sam Mendes, it works brilliantly. Mendes takes an unexpectedly thoughtful look at the world's most famous super spy, and the composer's moody score wonderfully complements the emotional depth that Mendes brings to the table, whilst also heightening the brilliant action scenes. As is usual with Newman, the thematic content takes time to discover – but the sparse emotional subtlety works wonders in underlining Bond's journey, a score that's fraught with equal parts action, emotion and tension. Skyfall is available at amazon.com and amazon.co.uk. 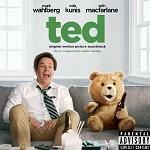 Seth MacFarlane's hysterically funny directorial debut is the story of a teddy bear brought to life by a magical wish, and marks his latest collaboration with Family Guy composer Walter Murphy. Anchored by a lovely, dainty piece for the film's bizarre central bromance (with overtones of Jerry Goldsmith's music for Joe Dante), the score traverses magical wonder, action and lounge jazz in the manner of Murphy's TV work, all with a huge amount of charm. There's even time to throw in a reference to the Raiders March, another delightful touch that demonstrates MacFarlane's acute understanding of film music. Comedies are the hardest films to score as the composer must underline the humour without ever getting in the way of it but Murphy walks the tightrope brilliantly - in the process coming up with 2012′s most charming comedy score. Ted is available at Amazon.com and Amazon.co.uk. Never succumbing to the tired cliché of silence followed by a loud musical stinger, Jeff Grace's creepy score for Ti West's eerie ghost story The Innkeepers grabs the attention with a barnstorming opening theme. Resplendent in a brooding sense of Gothic terror, it sets the tone perfectly, but the music is largely content to loom in the background, working away on the nerves and carefully building a sense of dread. Grace's loyalty to this central theme, plus a sprinkling of eerie instrumental textures (a fluttering flute here; a tinkling piano there) helps keep his score fresh, transcending the familiarity of the genre through good old-fashioned orchestral magic. The steady application of mood ensures the payoff is all the more scary – an excellent example of how holding back yields greater rewards. 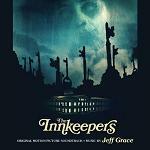 The Innkeepers is available at Amazon.com and Amazon.co.uk. Outside of the fantastic central performances from Quvenzhane Wallis and Dwight Henry, the best aspect of Beasts of the Southern Wild is the unusual, striking score. Composed by Dan Romer along with the film's director Benh Zeitlin, it comprises an intimate ensemble of strings, trumpets, celeste and struck percussion (including a table! ), authentically capturing the film's Louisiana Bathtub locale. Crucially, the music is always grounded in the point of view of central character Hushpuppy, alive with a magical sense of wonderment. Influenced as much by folk and pop as it is by more traditionally symphonic scores, Romer and Zeitlin's music never cheapens the experience or reduces it to rank sentimentality, enhancing the film without ever stooping to tired convention. 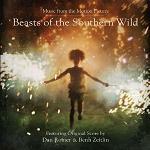 Beasts of the Southern Wild is available at Amazon.com and Amazon.co.uk.